Guest blog post by Neven Valev, Ph.D., Founder and Head of Research at www.theglobaleconomy.com. The comparison is based on several indicators published by major international organizations. Although the latest values are a few years old, these particular indicators are fundamental and move very slowly over time. The global rankings implied by them have been about the same for many years. In other words, if one looks at the long-run big picture, whether the data are from 2017 or 2010 makes little difference. 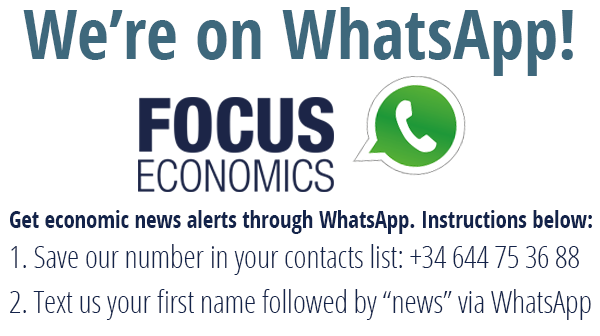 The data are also accompanied by some forecasts from FocusEconomics to show the direction the economy. Economic development. According to the latest World Bank data from 2014, the Gross Domestic Product of Spain was 1,381.34 billion USD which places Spain at rank 14 globally, i.e. Spain is one of the biggest economies in the world. Looking at the level of income, the GDP per capita was 29,718.50 USD positioning Spain at 29th place in the world. Spain enjoys a high level of income in global rankings but is below the income levels of many advanced economies. Note that FocusEconomics projects 2.5 percent economic growth for 2017 which is not bad but would hardly push the Spanish economy into higher global rankings. Financial system development. The most commonly used measure to gauge the development of the banking system is the level of credit to the private sector as percent of GDP. In indicates the availability of credit for businesses to implement investments and for households to acquire real estate and other big ticket items. Globally, the average value of that indicators is about 45 percent of GDP and, according to the International Monetary Fund, the value for Spain in 2014 was 129.47 percent per GDP, ranked 11th in the world. That ranking is confirmed by the number of ATMs per 100,000 people, another indicator for access to banking services. With 119.63 ATMs per 100,000 people, Spain ranks 11th in the world. Another interesting indicator is compiled by Transparency International, an international NGO that, for many years, has pulled data from various surveys to produce a composite measure of corruption perceptions. The index ranges from 0 (pervasive corruption) to 100 (no corruption). Based on 2015 data, the value of that indicator for Spain is 58 which places Spain at position 36 in the world. Again, not horrible but not stellar performance either. In terms of investment, foreign direct investment (FDI) into Spain was 34.23 billion USD in 2014 which is 2.48 percent of GDP, a level that has been sustained for many years with some ups and downs as confirmed by FocusEconomics data. We look at the percent of GDP as opposed to the dollar amounts because larger economies naturally attract greater volumes of foreign investment. Values above 4-5 percent of GDP suggest that the country is an attractive foreign investment destination. So, Spain’s value and its global rank of 104 is not spectacular. Neven Valev is on the economics faculty of Georgia State University in Atlanta, USA, and is the founder and Head of Research of www.theglobaleconomy.com and globalpetrolprices.com that provide information on macroeconomic trends and fuel prices around the world. Neven has published over 40 academic articles on finance and international economics and has taught undergraduate, MBA, and Ph.D. students for over 20 years. Follow TheGlobalEconomy.com on Twitter and Facebook.